Unexpectedly something went right. The dahlia tubers I planted in the spring looked pathetic. I was so sure that they will not grow. They were dry and tiny. Not quite sure what happened. Was it the new flower bed I made? Was it the cold and rainy summer we had? Was it my mom’s cats who decided that this new bed was the best litter box they have ever seen? I was so mad at them. I did not even use any fertilizer. Did not see the point after I saw what the cats did. 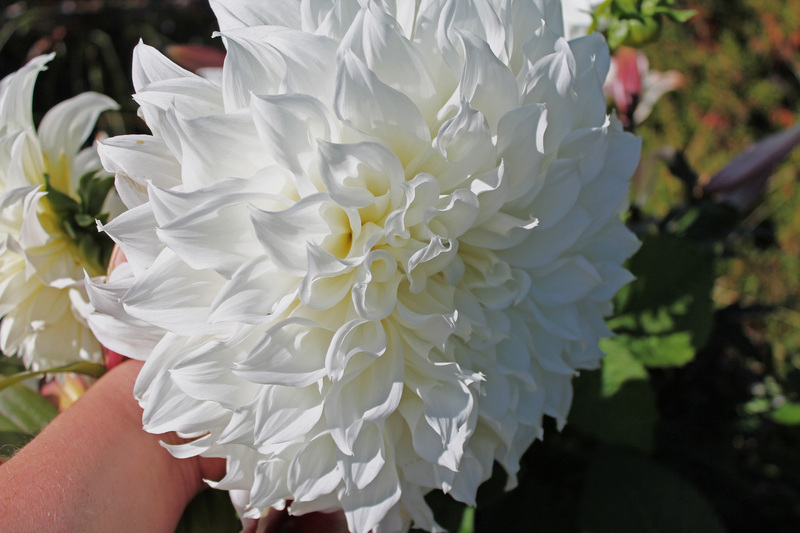 Anyway the end result was stunning blooms – size of my head. The smell they have is so sweet. 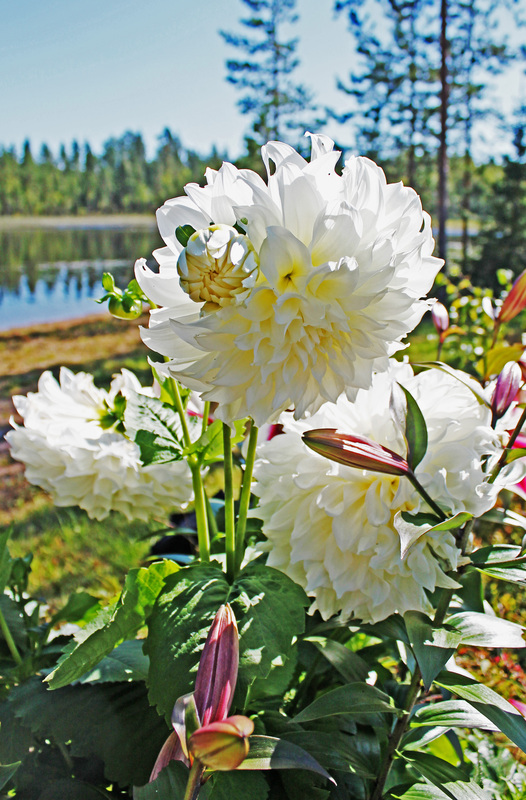 I have never managed to grow so beautiful dahlias! PS. Bought the last tubers from a local grocery store. Sometimes you just get lucky.